If you're in the vicinity of the Biltmore Hotel in Coral Cables, Florida, stop by the Academy of Marketing Sciences 40th Annual Conference today through Friday, 5/27. Swing by the AcademicPub table and say hello to our National Accounts Manager, Debra Exum. 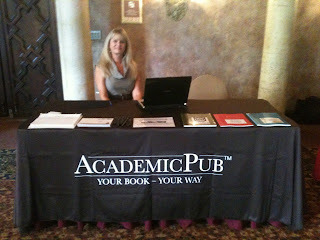 Deb will be happy to give you a demonstration of the AcademicPub platform and answer all of your questions about how to create innovative custom course materials at your school.